Known as the “cruise industry bible,” Berlitz’s Complete Guide to Cruising and Cruise Ships 2010 delivers all the information you could possibly need to make the right choice for you and your family. With in-depth reviews of 271 cruise ships, expert advice, trends in cruising and money-saving tips, BERLITZ COMPLETE GUIDE TO CRUISING AND CRUISE SHIPS 2010 will help readers find the best facilities, food, service and more. Plus, with Douglas Ward’s extensive personal experience aboard hundreds of cruise ships—he has spent a grand total of 5,500 days at sea!—the BERLITZ COMPLETE GUIDE TO CRUISING & CRUISE SHIPS 2010 is sure to excite and inform avid cruisers as well as travelers looking to embark on their first sea-faring voyage. In 1872, Professor Maximilian Berlitz emigrated from the Black Forest region of Germany to Providence, Rhode Island, prepared to teach Greek, Latin, and six other European languages. Six years later, he joined Warner Polytechnic College and established a new method of language-learning based on the principle that language skills are best acquired through conversation, not memorization, with a focus on real-life, authentic content. His innovative approach to teaching languages met with almost immediate success at its conception, and today, Berlitz Publishing is the unparalleled language-learning market leader, providing the global community with the skills needed to converse with anyone, anywhere. Insight Guides, the world’s largest visual travel series, captures the unique character of each destination’s culture with a perspective only an insider can provide. Picturesque, romantic, historic or exotic, Insight covers the world’s most popular destinations. Insight Guides Caribbean covers all of the top spots in the Caribbean, including St. Barts, St. Thomas, Barbados, Trinidad, Saba and St. Lucia. Plus, the guide delves into the character and landscape of the island diversity. Newly revised in April 2009, Insight Guides Caribbean is up-to-date, easier-to-use and includes new “Best Of” and “Travel Tips” sections, detailing top sights, practical tips and editor’s personal recommendations. Part of a travel guide series whose authors are locals in their area, Insight Guides Caribbean is guaranteed to reveal only the best that the Caribbean islands have to offer. Since 1971, travelers have relied on Insight Guides to tell them what to see and why they should see it, whether for a quick weekend break or a round-the-world trip. For eating in Paris or exploring the Galapagos, full-color Insight Guides give you an inside look at any location for any interest, thanks to our hands-on approach to travel. Each guide is researched and written from beginning to end by natives—not tourists—so you’ll be sure to get the inside scoop on where to stay, what to see, and how to get there. Insight Guides covers a wide array of locations, carrying over 500 titles to nearly 300 destinations around the world. With about 60 new titles produced every year along with constant updates to existing titles, Insight Guides provide candid, up-to-date coverage you can trust in a format designed to fit your needs. THis book looks great. We are taking a Caribbean cruise next April and this would come in handy. I’d love to take a cruise soon. There are so many cruises to choose from these days. The only thing more fun than reading about taking a cruise is taking a cruise! .-= Susan Adcox´s last blog ..Will the Grandkids Be Wild About the Wizarding World of Harry Potter? =-. Love to have the inside info on cruising. Great book, we are looking into going on a cruise. We are getting ready to close the month off and preparing for a new giveaway for June/July. 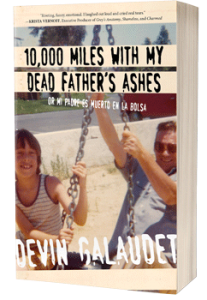 .-= Devin Galaudet´s last blog ..Traveling after 40, My Birthday Blog =-.